Last September, there appeared on the market an unusual tribute to the music of the French medieval composer, Guillaume de Machaut. It was the work of Robert Sadin, a Grammy winning producer, and the artists included the Brazilian guitarist and songwriter Milton Nascimento and the jazz singer Madeleine Peyroux. A limelight project from Deutsche Grammophon, once the pre-eminent classical label, it came from the fertile brain of Universal’s president of classics and jazz, Chris Roberts. Our conversation turned to David Munrow, whose early death was a great loss to this world. Munrow had a tremendous vitality – he mastered an astonishing array of instruments and devoted himself to bringing the treasures of medieval and Renaissance music to the awareness of today’s listeners. His recordings have a vibrancy and a sense of adventure which no one who has heard them will ever forget. 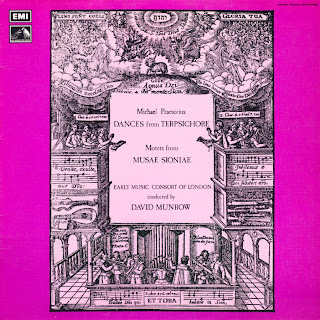 Chris raised the intriguing idea of revisiting Munrow’s great album “The Art of Courtly Love,” which features the music of Machaut, Dufay and others. This struck a very responsive chord in me. Things tend to go worng when the president gets involved, as any White House staffer can confirm, and the first thing to go through the roof is the budget. Before anyone looked at the bottom line, $200,000 had been spent (or so insiders tell me) and the record was not yet in its sleeve. Still, it was going to be a big hit and the money was going to come back through the tills, right? Wrong. The Art of Love was an unmitigated disaster. US sales stalled at 4,500 copies, on the latest Soundscan check, and the release appears to have been cancelled in most other countries – or trickled out so quietly that it hardly got reviewed. Certainly, no copy or press release ever came my way. I have since sampled a few sound bytes from the DG microsite and what I have heard is a mish-mash of middle-of-the-road pop blandness, music for an airport departure lounge. The Art of Love? Neither art, nor love. If ever there was a dud crossover disc, this is it. And it’s a Deutsche Grammophon dud of quite epic proportions. The label is presently telling major classical artists that it cannot afford to renew them. But it manages to blow $200,000 on an idle Roberts whim - and it’s not the first time it has done so. In 15 years of Roberts rule, the yellow label has lost most of its lustre. The departure lounge beckons for someone. I wonder who’s next.